The Dewan Rakyat was in uproar when Finance Minister Lim Guan Eng traded barbs with former prime minister Datuk Seri Najib Razak over several controversial issues. 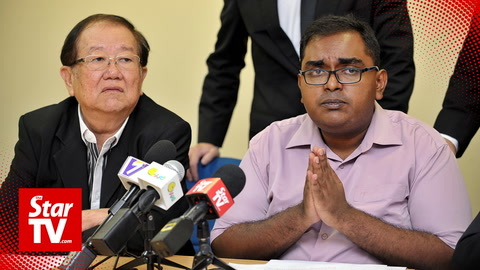 The incident was sparked when Lim described the previous Barisan Nasional government as being slick in trying to conceal 1Malaysia Development Bhd (1MDB) debts under the off-balance sheet. Lim asked Najib to acknowledge that the 1MDB scandal was "one of the largest scandals in the world" and added that it had burdened the present government with debts. Khairy Jamaluddin (BN-Rembau) reminded Lim that not all of the alleged RM1 trillion debt is connected to 1MDB.